Let’s face it: Brass is Back! 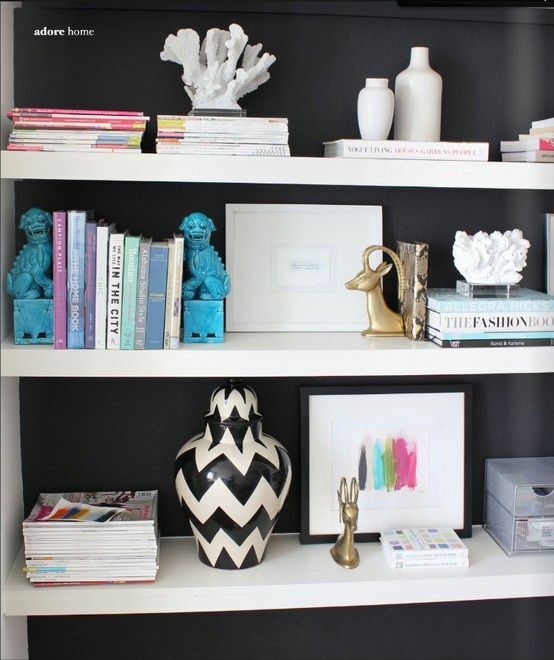 Brass figures and bookends can add a lot of interest to a space. 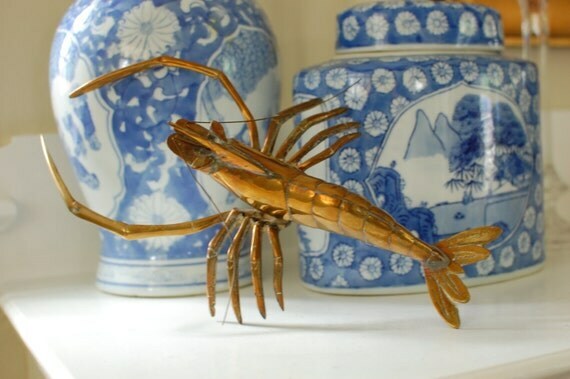 It can be found in a variety of forms – from animals to fruit to abstract art. And, it can be found in a variety of finishes – from dull to shiny to scuffed to a warm golden glow. The brass elephant really stands out in front of the painting. 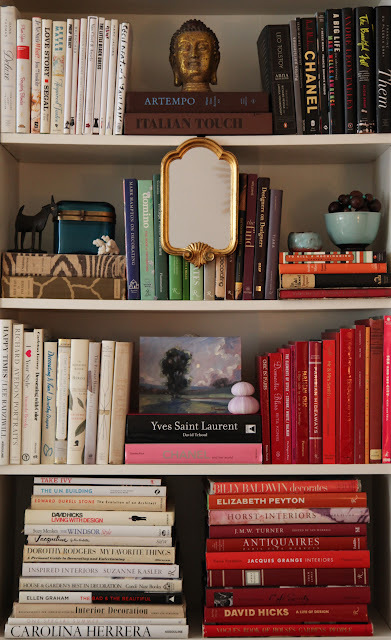 The brass Buddha and gold mirror complement each other among the color-coordinated books. 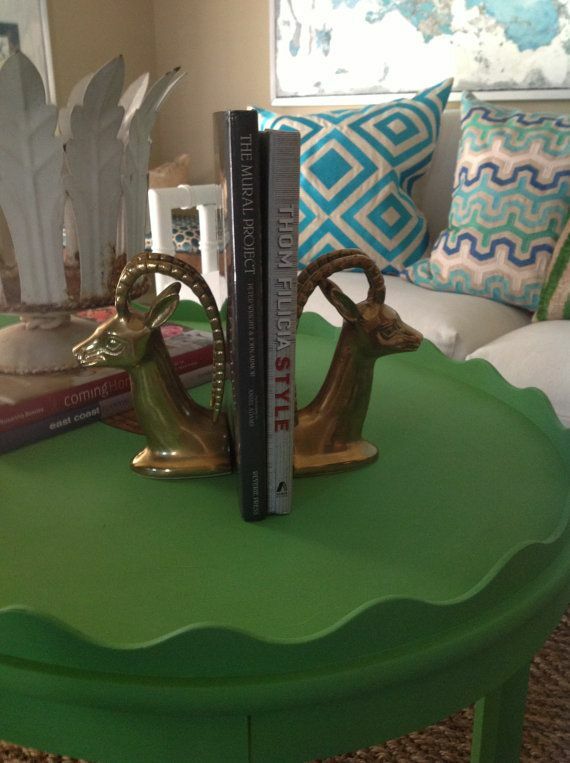 This pair of ibex bookends makes a statement on a table. 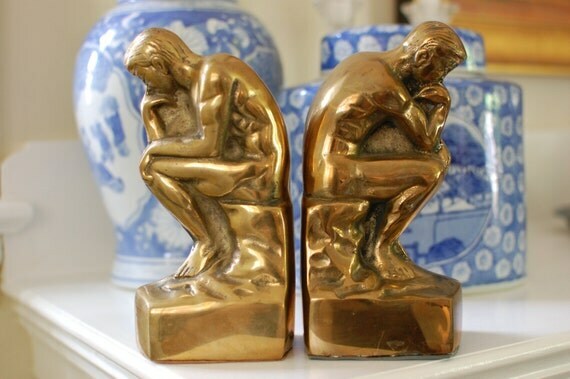 You don’t have to keep a pair of brass bookends together – these ibex bookends have been split up and they work. 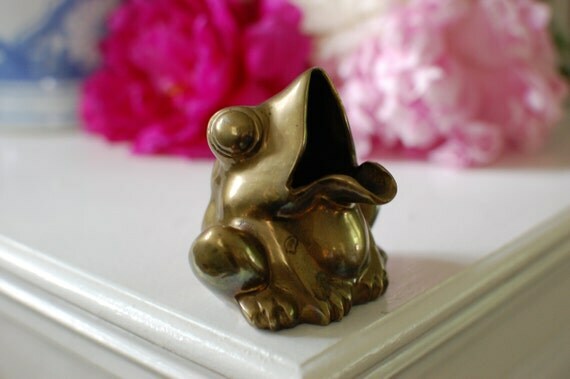 A brass figure can glam-up a stack of magazines. 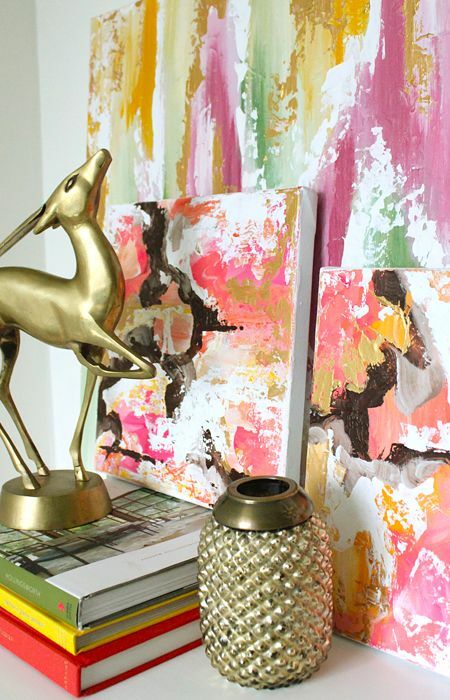 Brass just looks good with abstract art. It can’t help it. 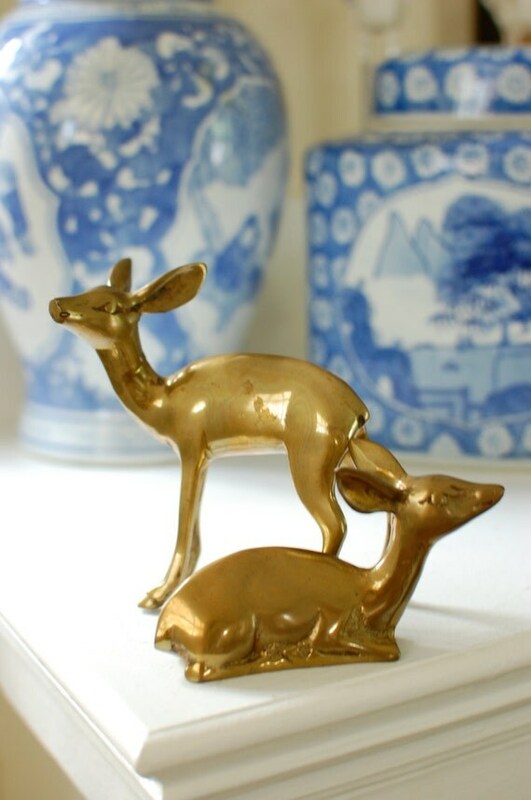 You can have more traditional decor, and still accessorize with a brass animal. 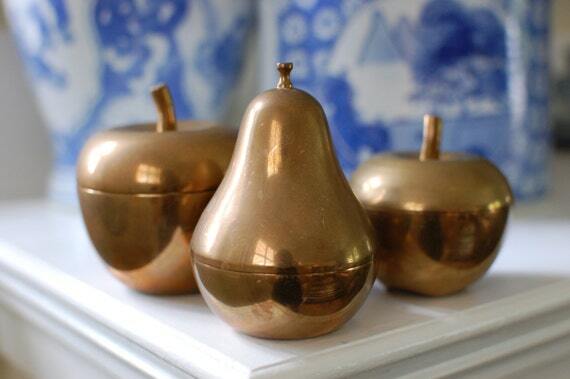 So now you have ideas – but where, or where can you find some great brass accessories? Thank Goodness I’m here to help! The Pursuing Vintage Shop as some great options for you! Take a look! 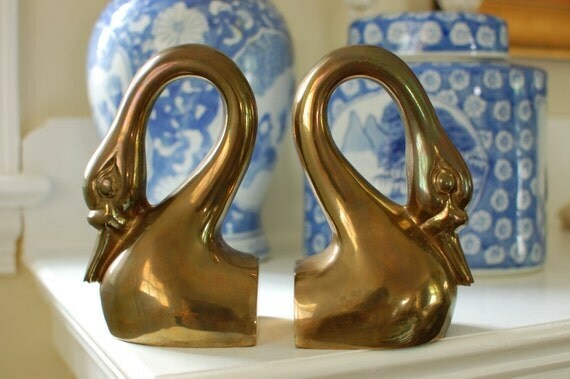 Please take a peek at all the other pretty things available in the Pursuing Vintage Shop! 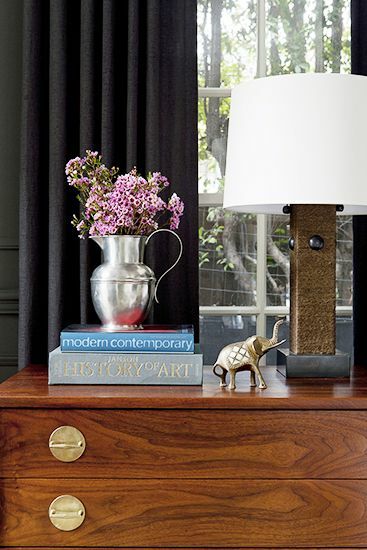 Adore the brass elephant with its trunk held high!